The school decided to create a traditional theater aspect in large format in Southampton, using a custom configuration of modern projectors to show rectangular, seemingly flat media in the planetarium as well as dome projection. Southampton Middle School in Bel Air, Maryland wanted to upgrade its planetarium built in 1970 by transforming its technology to create new immersive learning experiences. But needed to do it on a budget. The school decided to create a traditional theater aspect in large format in Southampton, using a custom configuration of modern projectors to show rectangular, seemingly flat media in the planetarium as well as dome projection. 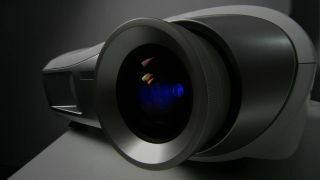 They determined that three projectors were necessary to create the massive immersive environment they were looking for. The new planetarium design is considered “classic,” comprising a 40-foot-diameter circular room with a 30-foot-diameter spherical dome ceiling. An optical star projector creates the star field, while the projectors are stacked and tiled to create a large-format image on the dome in the front of theater. The schools selected and installed NP-PX602UL laser projectors, one NP35ZL lens, two NP34ZL lenses and one 65-inch V652 LED display from NEC. The planetarium provides a multimedia learning environment all 54 district schools can enjoy, bringing students closer to understanding cosmic concepts such as rotation of the planets and the effect of plate tectonics on ocean currents, and the technology has been central to the experience.